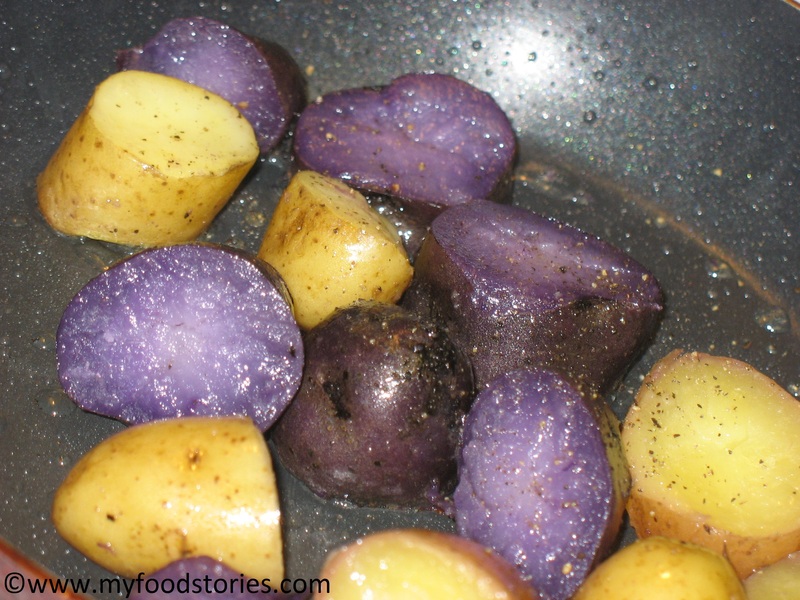 This post about gourmet organic potato fingerlings is as simple as the recipe. I decided to stop serving regular potatoes to my family and I tried their taste buds with these miniature delights. Smaller in size, they’re flavorful and versatile. They’re very convenient as they bake quicker, due to their size. It was uncharted territory for my kids, but not for me. 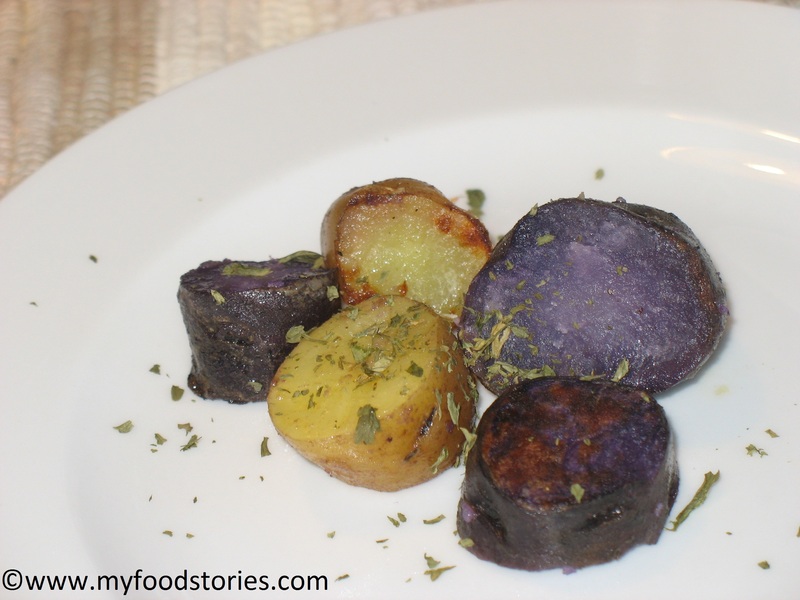 I had tried purple potato fingerlings before. They are fantastic! They come in a bag with purple and yellow miniature potatoes. They can be baked, sautéed, grilled or fried. They’re sweet and a great side for any beef or poultry dish (at least in my opinion.) So here is how I prepared them and we absolutely loved them. Ingredients: A bag of gourmet organic potato fingerlings; Salt and pepper; Parsley flakes. 1. Cut them in small pieces and saute them on a TSP of canola oil. Add salt and pepper to taste. 2. When brown on the edges serve them sprinkling some parsley flakes on top.